A Drone asset manufactured by the company Cine Drones. Lawmakers are struggling to find the right balance between privacy and public safety. Boy oh boy have times changed. Back in day, California Governor Jerry Brown was considered a liberal. But Moonbeam 2.0 is a different animal entirely. Not only has Gov. Brown inked major agreements with private prison outfits, he also recently vetoed a state bill that would have required police to get a warrant before conduction searches and surveillance with unmanned arial vehicles- otherwise known as drones. Democratic Gov. Jerry Brown recently vetoed a bill that would have required law enforcement agencies to obtain warrants to use drones for surveillance. Brown, in his veto message, said that although there may be some circumstances when a warrant is appropriate, the bill went too far. The bill in question was AB 1327. That measure, had it become law, would have required the government to secure a warrant from a judge before using surveillance drones except in the rarest of scenarios. Assemblyman Jeff Gorell (R-Camarillo), the bill’s author says that the veto is just another nail in the coffin of the Fourth Amendment of the Constitution. 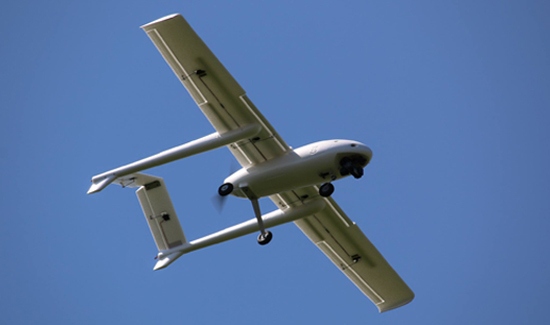 Gorell said Brown’s veto smacks of tyranny and that legislators may respond by imposing an outright ban on the use of UAVs in California. And that would hurt the economy.